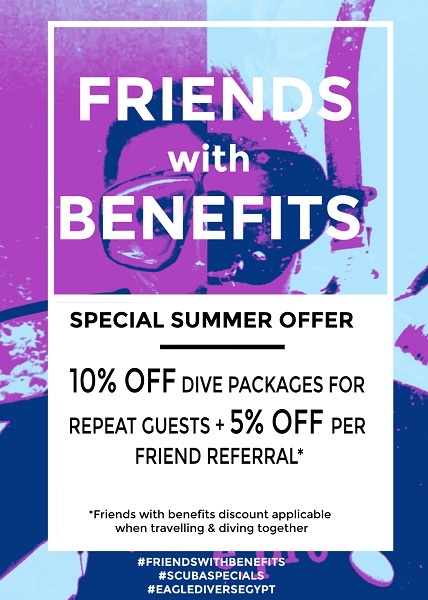 Dive packages that will exceed your expectations. 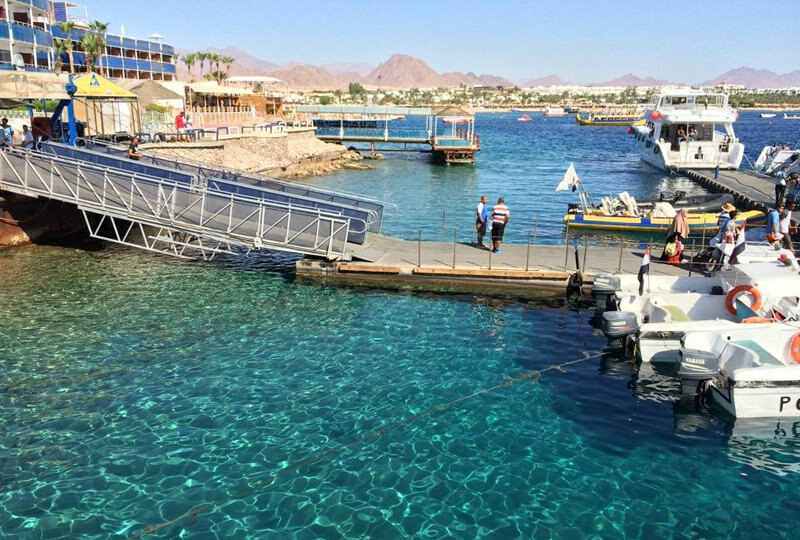 There are three main jetty’s in Sharm el Sheikh that we use for daily diving activities and these include Travco, Naama Bay, and Sharks Bay. 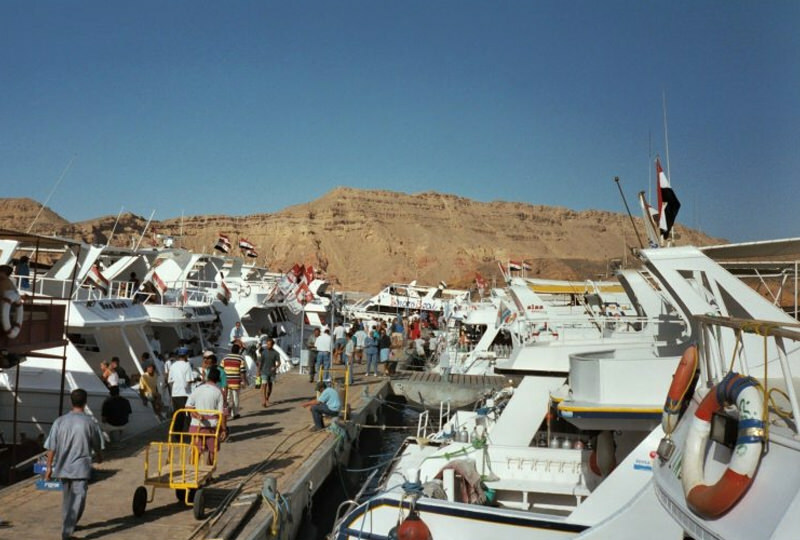 The destination for diving alternates each day between the Straits of Tiran, Ras Mohamed National Park, and local coastal sites and shore dives, when possible we try to accommodate specific requests for diving areas and dive sites but this is dependent on weather conditions and the suitability of the sites for all divers on board. 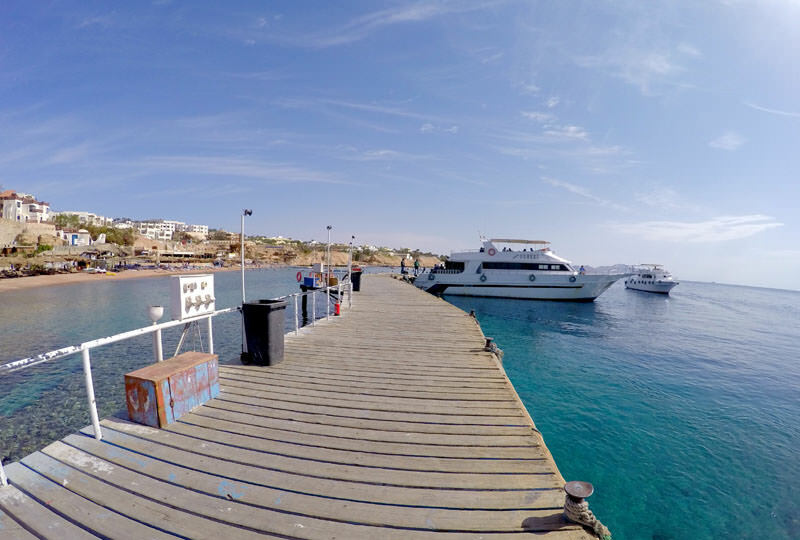 When boat diving, you can expect to be at the jetty for either 8.15am or 8.30am depending on the destination that day before then cruising to the first dive site. The first 2 dives of the day are those included in the diving package and then the boat moves to a sheltered area to stop for lunch. After lunch there is normally the option to go for an additional extra 3rd dive which is available for 25 € per person. Your guide will check during lunch whether you want to do this dive, and if not, you have the option to snorkel or just relax on the sun deck. At the end of the day you can expect to return back to the jetty any time between 3.30pm and 4.45pm. When boat diving, all guests must bring their passports with them to be checked by jetty officials. 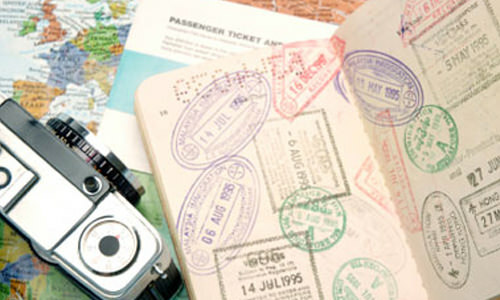 If guests forget their passports it can result in having to return to the hotel and missing the days diving. You are welcome to bring your own snacks and drinks on board however there is a minimum charge of 100L.E (around 5€) which goes to the boat crew, for unlimited hot and cold drinks and the buffet lunch, which has a mixture of hot and cold foods. Non-divers and children are welcome on the boat however please note charges do apply and children under the age of 6 should be accompanied by one guardian at all times. 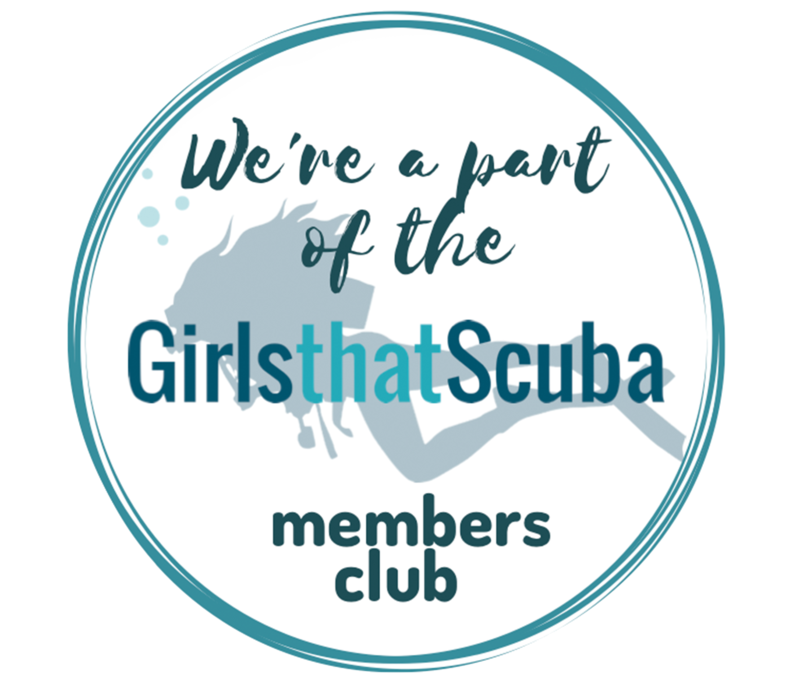 SPECIAL NOTE: Diving packages do not include equipment rental however these are available on a daily rental basis (please see prices for details). Cancellations after 5pm the day before may be subject to a 10 € cancellation fee; cancellation on the day has a minimum 20 € per person fee. Dive centre staff may advise divers who have limited experience or who have had a long break from diving that they must start with shore diving before going on the boat. This is to allow for a local orientation to the area in suitable conditions. Newly qualifed open water divers must start from the shore and cannot dive in Ras Mohamed national park until they have done at least one day shore and one day boat diving in one of the other areas. Management reserve the right to alter a dive plan at any time with full explanation given as to why plans have changed. 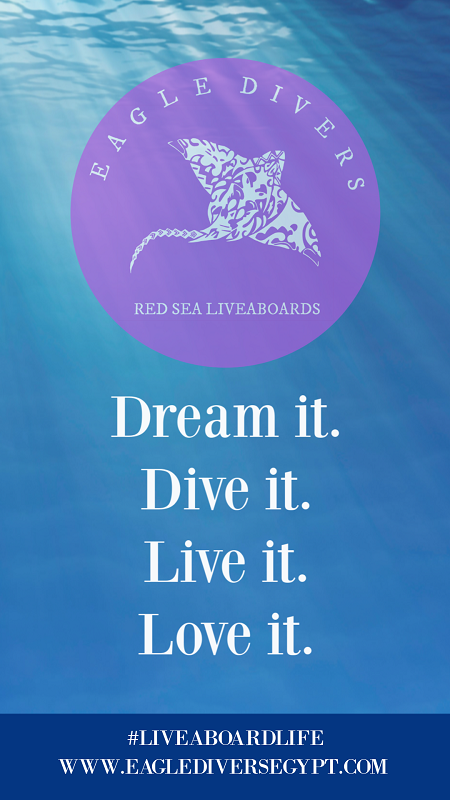 Contact us to ask for more information or to book your dive package with Eagle Divers today.